1. Charnov, E.L., Optimal foraging: The marginal value theorem, Theor. Popul. Biol., 9, 129, 1976. 2. Laca, E.A. et al., Effects of sward height and bulk-density on bite dimensions of cattle grazing homogeneous swards, Grass Forage Sci, 47, 91, 1992. 3. Ginnett, T.F. et al., Patch depression in grazers: The roles of biomass distribution and residual stems, Funct. Ecol., 13, 37, 1999. 4. Baumont, R. et al., A mechanistic model of intake and grazing behaviour in sheep integrating sward architecture and animal decisions, Anim. Feed Sci. Tech., 112, 5, 2004. 5. Hofmann, R.R. and Stewart, D.R.M., Grazers and browsers: A classification based on the stomach structure and feeding habits of East African ruminants, Mammalia, 36, 226, 1972. 6. Iason, G.R. and Van Wieren, S.E., Digestive and ingestive adaptations of mammalian herbivores to low quality forage, in Herbivores: Between Plants and Predators, Olf, H., Brown, V.K. and Brent, R., Eds., Blackwells Scientific Publications, Oxford, 1999, p. 337. 7. Perez-Barberia, F.J. and Gordon, I.J., Relationships between oral morphology and feeding style in the ungulata: A phylogenetically controlled evaluation, Proc. R. Soc. Lond. B-Biol. Sci, 268, 1023, 2001. 8. Jarman, PJ., The social organisation of antelope in relation to their ecology, Behaviour, 48, 215, 1974. 9. Gordon, I.J. and Illius, A.W., Incisor arcade structure and diet selection in ruminants, Funct. Ecol., 2, 15, 1988. 10. Ungar, E.D., Ingestive behaviour, in The Ecology and Management of Grazing Systems, Hodgson, J. and Illius, A.W., Eds., CAB International, Wallingford, 1996, p. 185. 11. Demment, M.W. and Laca, E.A., The grazing ruminant: Models and experimental techniques to relate sward structure and intake, Proc. 7th World Conf. Anim. Prod., 1993, p. 439. 12. Ruyle, G.B. and Dwyer, D.D., Feeding stations of sheep as an indicator of diminished forage supply, J. Anim. Sci., 61, 349, 1985. 13. Illius, A.W. and Gordon, I.J., Constraints on diet selection and foraging behaviour in mammalian herbivores, in Behavioural Mechanisms of Food Selection, Hughes, R.N., Ed. Springer-Verlag, Berlin, 1990,p. 369. 14. Wilman, D., Mtengeti, E.J., and Moseley, G., Physical structure of twelve forage species in relation to rate of intake by sheep, J. Agric. Sci. (Cambridge), 126, 277, 1996. 15. Wright, W. and Illius, A.W., A comparative study of the fracture properties of 5 grasses, Funct. Ecol., 9, 269, 1995. 16. Vincent, J.F. V., The influence of water content on the stiffness and fracture properties of grass leaves, Grass Forage Sci., 38, 107, 1983. 17. Inoue, T. et al., Effects of leaf shear breaking load on the feeding value of perennial ryegrass (Lolium perenne) for sheep. 1. Effects on leaf anatomy and morphology, J. Agric. Sci, 123, 129, 1994. 18. Hendricksen, R. and Minson, D.J., The feed intake and grazing behaviour of cattle grazing a crop of Lablab purpureus cv. Rongai, J. Agric. Sci. (Cambridge), 95, 547, 1980. 19. Theron, E.P and Booysen, PD.V., Palatability in grasses, Proc. Grass. Soc. South Afr, 11, 111, 1966. 20. Mayland, H.F. et al., Nonstructural carbohydrates in tall fescue cultivars: Relationship to animal preference, Agron. J., 92, 1203, 2000. 21. Diaz, S., Noy-Meir, I., and Cabido, M., Can grazing response of herbaceous plants be predicted from simple vegetative traits? J. Appl. Ecol., 38, 497, 2001. 22. Sun, D. and Liddle, M.J., Trampling resistance, stem flexibility and leaf strength in nine Australian grasses and herbs, Biol. Conser., 65, 35, 1993. 23. Thom, E.R. et al., Relationship of tillering and morphological characteristics of two perennial ryegrass lines to "pulling" when grazed by dairy cows, N.Z. J. Agric. Res., 46, 15, 2003. 24. 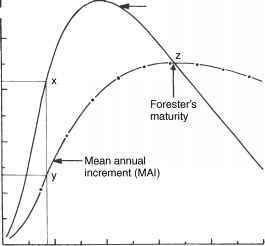 Henry, D.A., Simpson, R.J., and Macmillan, R.H., Seasonal changes and the effect of temperature and leaf moisture content on intrinsic shear strength of leaves of pasture grasses, Aust. J. Agric. Res., 51, 823, 2000. 25. Hongo, A. and Akimoto, M., The role of incisors in selective grazing by cattle and horses, J. Agric. Sci., 140, 469, 2003. 26. Zhang, J., Akimoto, M., and Hongo, A., Effects of applied nitrogen and leaf density of orchardgrass (Dactylis glomerata l.) on the grazing behavior of sheep, Grass. Sci., 49, 563, 2004. 27. Illius, A.W. et al., Costs and benefits of foraging on grasses varying in canopy structure and resistance to defoliation, Funct. Ecol., 9, 894, 1995. 28. Mitchell, R.J., Hodgson, J., and Clark, D.A., The effect of varying leafy sward height and bulk density on the ingestive behaviour of young deer and sheep, Proc. N.Z. Soc. Anim. Prod., 51, 159, 1991. 29. Halyk, R.M. and Hurlbut, L.W., Tensile and shear strength characteristics of alfalfa stems, Trans. ASAE, 11, 256, 1968. Iwaasa, A.D. et al., A shearing technique measuring resistance properties of plant stems, Anim. Feed Sci. Tech., 57, 225, 1996. Evans, P.S., A study of leaf strength in four ryegrass varieties, N.Z. J. Agric. Res., 7, 508, 1964. Vincent, J.F.V., Fracture, in Biomechanics — Material: A Practical Approach, Vincent, J.F.V., Ed., Oxford University Press, New York, 1992, p. 192. Griffiths, W.M. and Gordon, I.J., Sward structural resistance and biting effort in grazing ruminants, Anim. Res., 52, 145, 2003. Aranwela, N., Sanson, G., and Read, J., Methods of assessing leaf-fracture properties, New Phytol, 144, 369, 1999. MacAdam, J.W. and Mayland, H.F., The relationship of leaf strength to cattle preference in tall fescue cultivars, Agron. J., 95, 414, 2003. O'Reagain, P. J., Haller, M., and Zacharias, P.J.K., Relationship between sward structure and dietary quality and intake in cattle grazing humid sour grassveld in South Africa, Proc. XVII Inter. Grass. Cong., 730, 1993. Adler, P.B. et al., Functional traits of graminoids in semi-arid steppes: A test of grazing histories, J. Appl. Ecol., 41, 653, 2004. Hendry, G.A.F. and Grime, J.P., Methods in Comparative Plant Ecology: A Laboratory Manual, 1st ed., Chapman & Hall, London, 1993. Henry, D.A., Macmillan, R.H., and Simpson, R.J., Measurement of the shear and tensile fracture properties of leaves of pasture grasses, Aust. J. Agric. Res., 47, 587, 1996. Griffiths, W.M., Sward structural characteristics and selective foraging behaviour in dairy cows, Ph.D. thesis, Massey University, New Zealand, 1999. Vincent, J.F.V., The mechanical design of grass, J. Mat. Sci., 17, 856, 1982. Perez-Harguindeguy, N. et al., Leaf traits and herbivore selection in the field and in cafeteria experiments, Austral. Ecol., 28, 642, 2003. Chambers, A.R.M., Hodgson, J., and Milne, J.A., The development and use of equipment for the automatic recording of ingestive behavior in sheep and cattle, Grass Forage Sci., 36, 97, 1981. Westfall, R.H. et al., The development of a leaf tensilmeter for in situ measurement of leaf tensile strength, J. Grass. Soc. South. Afr, 9, 50, 1992. Tharmaraj, J. et al., Defoliation pattern, foraging behaviour and diet selection by lactating dairy cows in response to sward height and herbage allowance of a ryegrass-dominated pasture, Grass Forage Sci., 58, 225, 2003. Ungar, E.D. and Noymeir, I., Herbage intake in relation to availability and sward structure — grazing processes and optimal foraging, J. Appl. Ecol., 25, 1045, 1988. Ungar, E.D. and Ravid, N., Bite horizons and dimensions for cattle grazing herbage to high levels of depletion, Grass Forage Sci., 54, 357, 1999. Bergman, C.M., Fryxell, J.M., and Gates, C.G., The effect of tissue complexity and sward height on the functional response of wood bison, Funct. Ecol., 14, 61, 2000. Griffiths, W.M., Hodgson, J., and Arnold, G.C., The influence of sward canopy structure on foraging decisions by grazing cattle. II. Regulation of bite depth, Grass Forage Sci., 58, 125, 2003. Hughes, T.P, Sward structure and intake of ruminants, Ph.D. thesis, Lincoln University, New Zealand, 1990. 53. Mitchell, R.J., The effects of sward height, bulk density and tiller structure on the ingestive behaviour of Red deer and Romney sheep, Ph.D. thesis, Massey University, New Zealand, 1995. 54. Tharmaraj, J., Chapman, D.F., and Egan, A.R., Bite breaking properties of some pasture species, Anim. Prod. Aust., 22, 360, 1998. 55. Aguirre, L.F. et al., Ecomorphological analysis of trophic niche partitioning in a tropical savannah bat community, Proc. R. Soc. Lond. B-Biol. Sci, 269, 1271, 2002. 56. Peters, R.H., The Ecological Implications of Body Size, 1st ed., Cambridge University Press, Cambridge, 1983. 57. Parsons, A.J. et al., Diet preference of sheep — effects of recent diet, physiological-state and species abundance, J. Anim. Ecol., 63, 465, 1994. 58. Alexander, R.M. and Bennet-Clark, H.C., Storage of elastic strain energy in muscle and other tissues, Nature, 265, 114, 1977. 59. Wright, W. and Vincent, J.F.V., Herbivory and the mechanics of fracture in plants, Biol. Rev. Cambridge Phil. Soc., 71, 401, 1996. 60. Vincent, J.F.V., Strength and fracture of grasses, J. Mat. Sci., 26, 1947, 1991. 61. King, M.J. and Vincent, J.F.V., Static and dynamic fracture properties of the leaf of New Zealand flax Phormium tenax (Phormiaceae: Monocotyledones), Proc. R. Soc. Lond. B-Biol. Sci, 263, 521, 1996. 62. Northey, R.D. and Hawley, J.G., The tooth to pad relationship in sheep — some mechanical considerations, N.Z. J. Agric. Res., 18, 133, 1975. 63. Dove, H. and Milne, J.A., An evaluation of the effects of incisor dentition and of age on the performance of lactating ewes and their lambs, Anim. Prod., 53, 183, 1991. 64. Rogers, G.M. et al., Dental wear and growth performance in steers fed sweet potato cannery waste, J. Am. Vet. Med. Assoc., 214, 681, 1999. 65. Hongo, A. et al., Changes in biting force with incisor dentition of sheep, Grass Forage Sci., 59, 293, 2004. 66. Hughes, T.P et al., The influence of sward structure on peak bite force and bite weight in sheep, Proc. N.Z. Soc. Anim. Prod., 51, 153, 1991. 67. Toro, E. et al., A biomechanical analysis of intra- and interspecific scaling of jumping and morphology in Caribbean Anolis lizards, J. Expt. Biol., 206, 2641, 2003. 68. Webb, N.G. and Clark, M., Livestock foot-floor interactions measured by force and pressure plate, Farm Build. Prog., 23, 1981. 69. Herrel, A. et al., The implications of bite performance for diet in two species of lacertid lizards, Can. J. Zool., 79, 662, 2001. 70. Herrel, A., O'Reilly, J.C., and Richmond, A.M., Evolution of bite performance in turtles, J. Evol. Biol., 15, 1083, 2002. 71. Laca, E.A. et al., An integrated methodology for studying short-term grazing behavior of cattle, Grass Forage Sci., 47, 81, 1992. 72. Black, J.L. and Kenney, P.A., Factors affecting diet selection by sheep 2. Height and density of pasture, Aust. J. Agric. Res., 35, 565, 1984. 73. Ellis, J.E. and Travis, M., Comparative aspects of foraging behaviour of pronghorn antelope and cattle, J. Appl. Ecol., 12, 411, 1975. 74. Arnold, G.W. and Dudzinski, M.L., Ethology of Free-Ranging Domestic Animals, 1st ed., Elsevier, New York, 1978. 75. Willms, W., Forage strategy of ruminants, Rangemans J., 5, 72, 1978. 76. Shipley, L.A. et al., The scaling of intake rate in mammalian herbivores, Am. Nat., 143, 1055, 1994. 77. Shipley, L.A. et al., The dynamics and scaling of foraging velocity and encounter rate in mammalian herbivores, Funct. Ecol., 10, 234, 1996. 78. Gordon, I.J., Illius, A.W., and Milne, J.D., Sources of variation in the foraging efficiency of grazing ruminants, Funct. Ecol., 10, 219, 1996. 79. Cangiano, C.A. et al., Effect of liveweight and pasture height on cattle bite dimensions during progressive defoliation, Aust. J. Agric. Res., 53, 541, 2002. 80. Axmacher, H. and Hofmann, R.R., Morphological characteristics of the masseter muscle of 22 ruminant species, J. Zool. (London), 215, 463, 1988. 81. Jaslow, C.R., Morphology and digestive efficiency of red foxes (Vulpes-vulpes) and gray foxes (Urocyon-cinereoargenteus) in relation to diet, Can. J. Zool., 65, 72, 1987. 82. Lehmann, F.O., The constraints of body size on aerodynamics and energetics in flying fruit flies: An integrative view, Zoology, 105, 287, 2002.